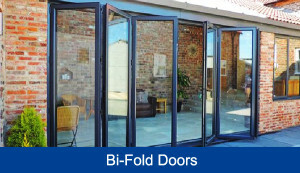 Our bi-folding doors are designed, engineered and made in the UK. We believe they are amongst the best available today. Whether you have a bedroom with Juliette balcony, a kitchen-diner, a conservatory or an orangery, bi-folding doors can provide a stunning alternative to patio or French doors. Available in wide choice of opening configurations and colours, they have ultra-slim sightlines, providing rooms with a clean, modern appearance. Safety features include the innovative low threshold option for family friendly and wheelchair use. What’s more, offer high energy efficiency, combined with the best security features on the market – bringing you a modern space-saving solution for your home that will definitely give it the ‘wow’ factor. One of the most effective ways you can save energy within your home is through installing energy efficient windows, doors and roofs. Our frames outperform the majority of other leading brands in the UK when it comes to thermal efficiency – due to our Supertherm glass units and innovative uPVC multi-chambered profile design the thermal efficiency of a door is measured in U-values, which demonstrate how effective the door is at preventing the transfer of heat into and out of a building. The lower the U-value, the higher the doors’ effectiveness at keeping the heat inside your home when it’s cold outside. For greater thermal efficiency our products can be fitted with our own Supertherm plus glazing, reaching an impressive U-value of 1.0 W/m²K, which means you’ll be able to enjoy a warmer and quieter home as well as lower energy bills. With foiled wood grain-effect options, your bi-folding doors can emulate the natural look of timber and you will never have to treat sand or repaint them. If you choose we can supply them in absolutely any colour. Discover for yourself why more and more people are choosing Easyglaze to supply bi-fold doors and benefiting from these versatile and attractive home improvements.